Yuven Sundaramoorthy was invited to speak at the monthly meeting of the SCCA Mohawk-Hudson chapter in Albany, NY on November 7th, 2018. Here is the unedited, full-length video of this event - conducted in an interview format by Greg Rickes. 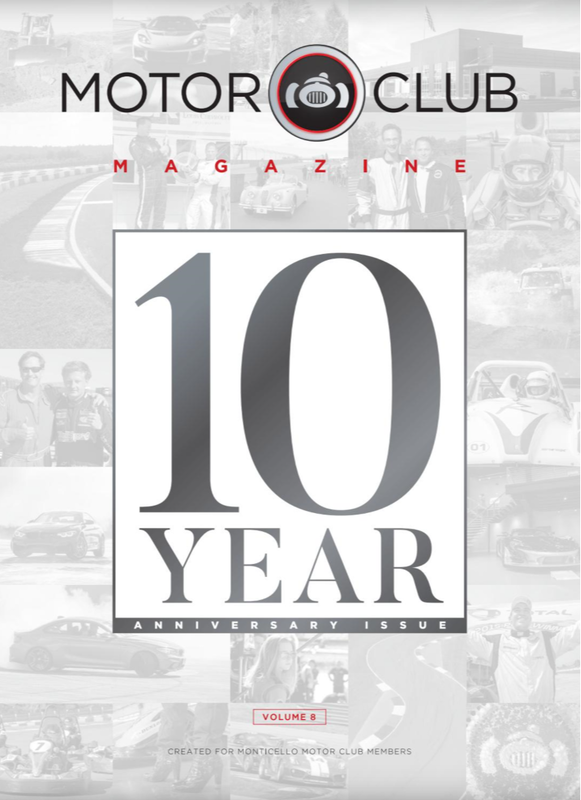 This is a profile article about our racing that was published in the 10th Anniversary edition of the Monticello Motor Club (https://www.monticellomotorclub.com) Magazine September 2018. 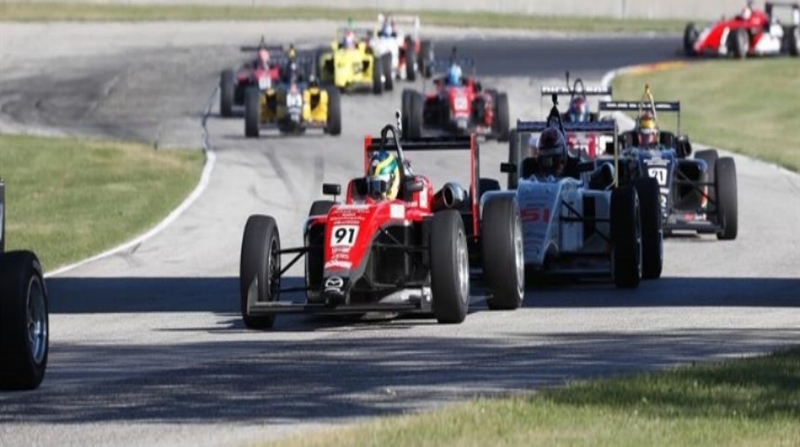 Lexington, Ohio - MRTI Insider recognized Yuven Sundaramoorthy as the "Star of the Race" in race #3 of the USF2000 at the Mid-Ohio Sports Car Course. Watkins Glen, NY - Yuven Sundaramoorthy went from third to first amid last lap drama in race one of the F1600 Championship Series tripleheader at Watkins Glen International on Sunday Morning. 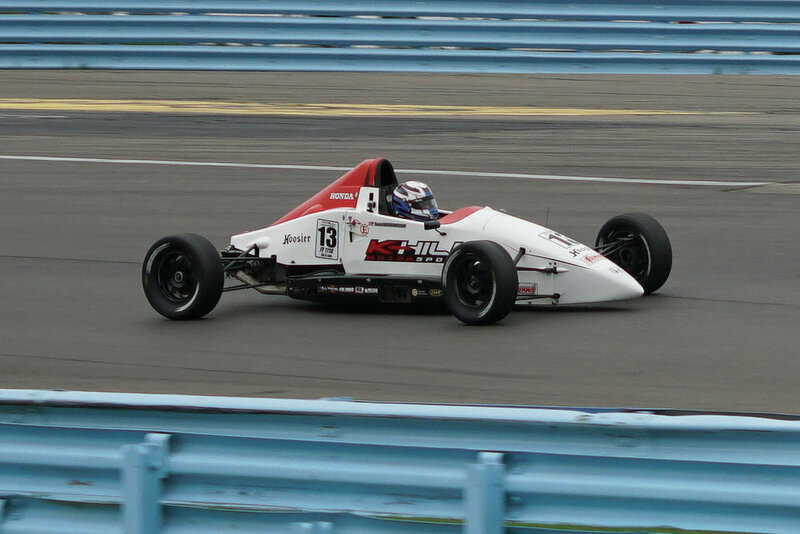 Watkins Glen, NY - Yuven Sundaramoorthy took pole in wet conditions for the first of the three F1600 Championship Series races at Watkins Glen International. 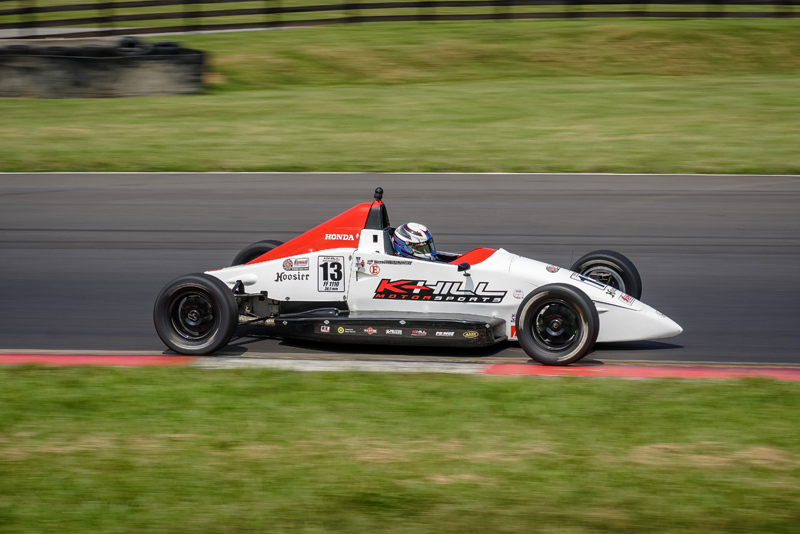 Salem, NH – K-Hill Motorsports driver Yuven Sundaramoorthy is looking forward to a successful sophomore season in the 2018 F1600 Championship Series season and building upon the two wins he scored in 2017. 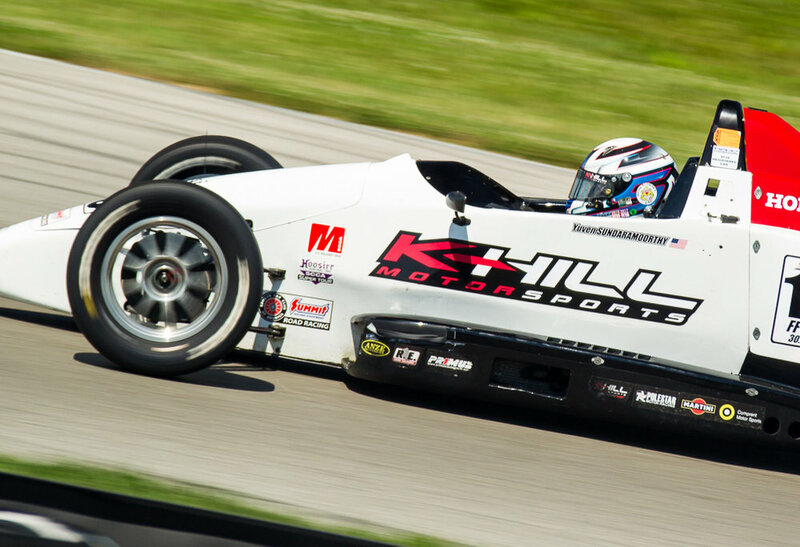 K-Hill Motorsports would like to announce two of our F1600 drivers for the 2018 season. We are excited to say Yuven Sundaramoorthy is back for a second year!! Also, a huge welcome aboard to Tyler O’Connor!! 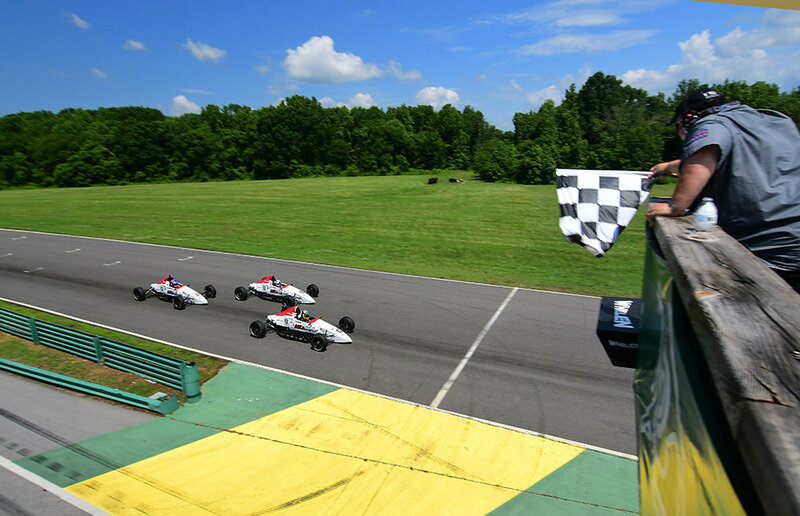 Millville, NJ - Yuven Sundaramoorthy won his second race of the 2017 F1600 Championship Series season in an exciting photo finish at New Jersey Motorsports Park. Driving the No. 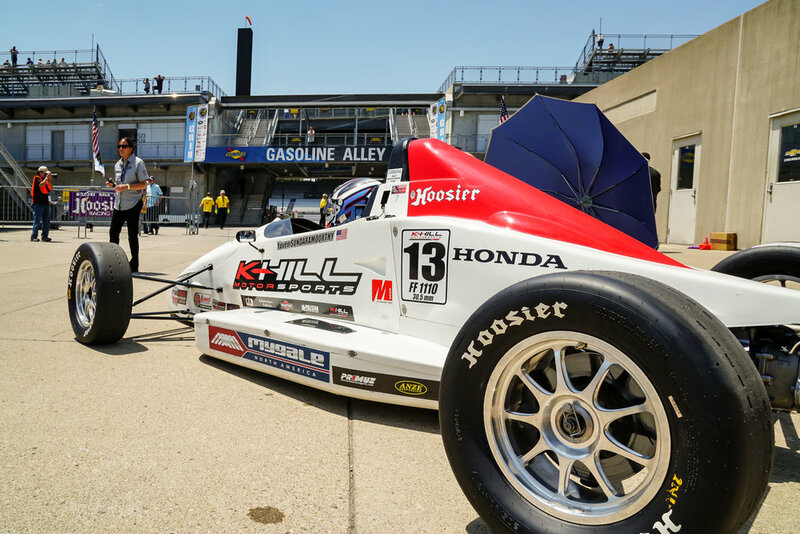 13 for K-Hill Motorsports, Sundaramoorthy won by .014 seconds over Team Pelfrey's Jonathan Kotyk. Another .081 seconds back, Matthew Cowley finished third to clinch the 2017 F1600 Championship Series title for Team Pelfrey. Speedway, IN - The F1600 Championship Series race again came down to the last lap after a race-long battle at the front of the field as Yuven Sundaramoorthy crossed the line first for K-Hill Motorsports, taking his first ever F1600 victory in an iconic setting at the Indianapolis Motor Speedway. 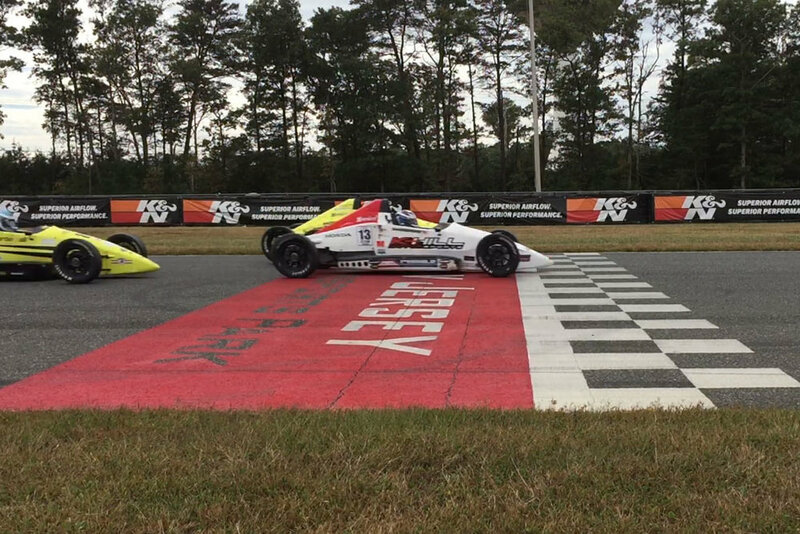 Sundaramoorthy won by a mere .039 seconds ahead of Team Pelfrey's Jonathan Kotyk. K-Hill Motorsports strengthens its team and deepens the competition by adding 14 year old Yuven Sundaramoorthy to their team. Yuven comes to the team from the Albany, New York area to start his rookie year with K-Hill Motorsports in their F1600 program. 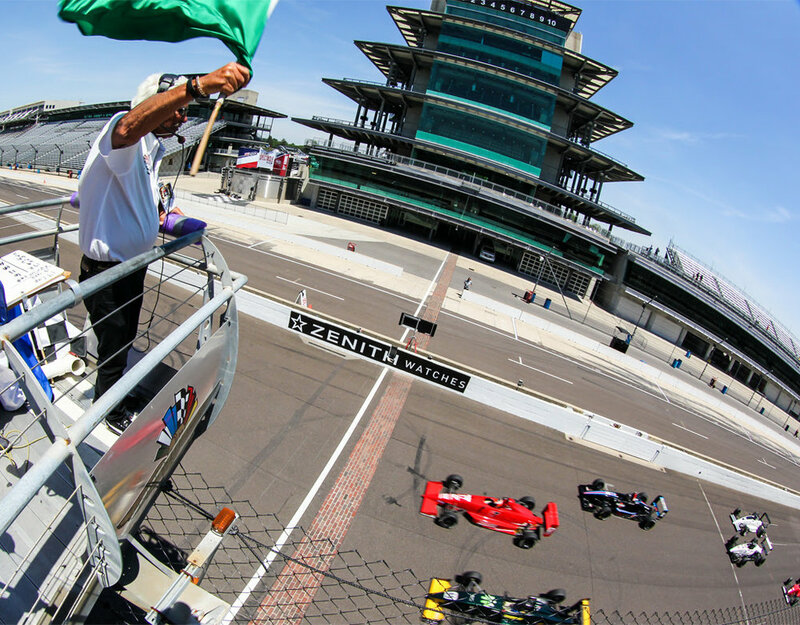 Speedway, IN – Saturday afternoon race victories at the Indianapolis Motor Speedway went down to the wire as Yuven Sundaramoorthy won by .039 seconds in F1600, John LaRue took the victory by .010 seconds in F2000 and Peter Portante won in the Atlantic Championship Series. All three Championships saw tight and exciting races as drivers battled to cross the yard of bricks first.